While the evaluation process of the appraisal system has wrapped up in most organizations, for the HR leaders and team managers, the exercise is far from over. While continuous feedback is critical for employees to do their best, when it comes to the annual appraisal, momentary responses and support can make all the difference. Let us discuss a few important steps that HR leaders, team managers, and senior leadership must take after the performance reviews have been handed over, in order to ensure that the process is truly effective. Following-up with employees to understand their take is undisputedly the most important post-ritual practice. No matter how comprehensive or objective an appraisal system is, not all employees will be satisfied with the results. Wait for a few days, or at least a week, in order to prevent employees from giving a knee-jerk reaction and give them time to introspect and prepare their case as well. Depending on the team size and available personnel, a formal follow-up can be done in a short face-to-face meeting or a quick online survey can be conducted. In addition to providing managers and leaders with valuable insights on how the perceptions on appraisal differ within their workforce, dedicatedly following-up will also ensure that appraisal is a two-way communication process. Thus, following-up after the appraisal cycle is important to sustain credibility in the leaders, processes, and organization. Post the follow-up, it becomes essential to focus on employees that have expressed dissatisfaction with the feedback they have received, particularly if they happen to be key employees. Take them through the entire appraisal process to help them understand the parameters they were evaluated on, where they weren’t able to deliver and dispel any concerns about the system being biased towards them. Allow employees to express their grievances and counter the appraisal findings with evidence and specific instances of their achievements. Acknowledge and appreciate the areas where they have made improvement as well, and help them understand where they need to pull their socks up. Work individually with each employee to create a turnaround plan and help them design their future path. Provide them with the resources they need to succeed and ensure that you communicate your intent to help them succeed. As a matter of fact, this message should also be communicated to all employees and they should be encouraged to receive the appropriate support for their goals. In case you see an uptick in the number of employees who file their papers after receiving the results of their performance appraisal – it’s time to act swiftly. Since it is highly unlikely that an employee that will call it quits after a single bad appraisal review, make sure you reach out to the employees who file in their resignation soon after a negative review in order to understand the context of their decision better. 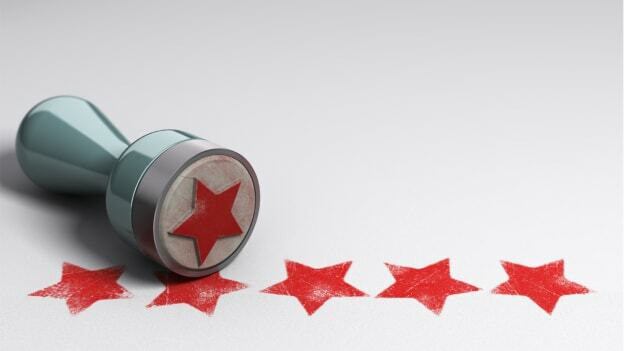 Negative reviews and feedback usually act as a trigger point for a series of other serious workplace issues like disengagement, lack of motivation, hostile work environment, workplace conflict or restrictive workplace policies. Thus, managers and leaders should take this opportunity to reset expectations, re-establish trust, and help employees regain their motivation. The HR, on the other hand, should make an earnest attempt to understand the other myriad reasons related to the workplace culture or company policies that have resulted in the employee reaching the decision and also simultaneously continually demonstrate a commitment to helping employees improve their performance. Additionally, direct efforts and interventions to curb attrition also indicate that employees are valued in the organization. Last, but far from least, is collecting feedback on the appraisal process itself and asking for suggestions to improve it. The purpose of this is twofold; one, to ensure that while participating, employees understood the process thoroughly and were aware of the different factors that influence the outcome; and two, to make the process smooth and seamless for employees. The insights gained from this can be used to simplify the process, improve the transparency of the system, encourage employee participation in policy formulation, and maintain a dynamic feedback cycle with the workforce. Feedback on improving the appraisal process can be included in the above-mentioned follow-up exercise, and to determine the core pain-paints, ample of subjective long-format responses should be gathered from employees. Performance reviews and appraisals are an opportunity for employees and employers to assess how well they’ve been achieving their goals, and whether overarching business goals and personal employee goals are in alignments. However, a poorly-conducted performance review can do more harm than good and employees who feel wronged might become further disengaged and unmotivated. The above-listed strategies are just a few ways to ensure that appraisals continue to achieve the goals that they intend to and there is room for feedback and improvement for everyone involved in the process, including the process itself.